Ninjutsu, or Budo Taijutsu, contains the knowledge of martial arts that were created hundreds of years ago. 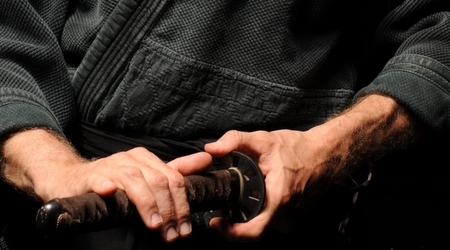 Generations of Japanese teachers preserved this knowledge, culminating in the Bujinkan soke – Hatzumi Masaaki. We are indebted to their efforts. Here in Israel – were Doron Navon, the first non Japanese Bujinkan Shihan, started – we already have four generations of students. This makes us happy. Nothing is forgotten, we memorize ancient katas by practicing again and again and we then document this knowledge with text and video on our Akban wiki, free for all, open to all. Tradition is interlaced with respect and we respect not only our heritage but all martial traditions. We made this respect concrete by opening our wiki to all, documenting other martial arts and learning from masters outside our school.